What was God’s goal in giving us all of these spiritual blessings? So often our answer, so we could be saved and go to heaven. While this might be the outcome of all that God has done for us it is not God’s goal. The answer is repeated three times in Ephesians 1. Did you catch that? God’s goal in accomplishing all of these spiritual blessings for us was so that we would be to the praise of His glory. Don’t miss that. God’s goal in blessing us with all of these spiritual blessings is not accomplished when we are forgiven instead it is accomplished when we glorify Him because of the spiritual blessings He has given us. That’s a shift from our normal way of thinking about but it’s a shift that we need to take. Let’s focus less on ourselves as recipients of God’s blessings and let’s focus more in God as the giver a all things and praise His glory. We must not take God’s glorious blessings for granted. 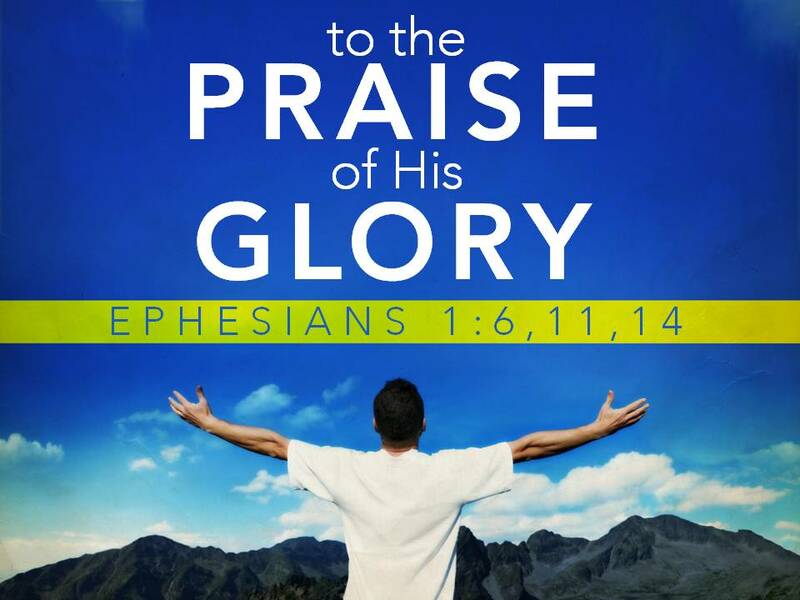 Instead let us glorify Him in praising His name for all that He has done. Let us give Him thanks for all the blessings He has given us. And let His glorious grace motivate us to live our lives to the glory and honor of His name. Remember, it’s not about us, it’s all about Him.